Start the new hockey year with a bang – with Nordic Youth Trophy U11! The tournament is played with a qualification round followed by playoffs in different levels so that all teams along the way will get to face teams on their own level. This makes Nordic Youth Trophy the perfect fit for all players and teams, regardless of skill level! QUALIFYING PLAY (4 & 5 january): Teams are placed into 6-team groups, all teams in the group play each other, 5 games in total. PLAYOFFS (6 january): According to your teams placement in the standings playoff groups are created in different levels (A-, B-, C-, D-playoffs and so on). All teams play playoffs. The two highest ranked teams in each playoff group qualifies directly for semifinals. The other four teams in each group play quarterfinals. 1-3 games in total in the playoffs. Meals included: 2x breakfast, 2x lunch, 2x dinner, 2x supper and snack. 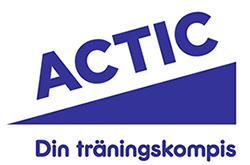 Registration to Nordic Youth Trophy is binding and the Registration fee is not refundable. Registration fee will be invoiced upon registration. An invoice for the Entry fee will be sent after the tournament. The Entry fee is refundable up to 50 %, in case of disease certified by a doctor. Färjestad BK Hockey Alliance reserves the right to choose participating teams in the event of a full tournament. The Registration fee will in this case be refunded.